We pride ourselves in making the renovation process a fun and inspiring experience for our clients. Renovations can be stressful and difficult, but we strive to keep the challenges for ourselves, so you can enjoy the fun part. Give us a call or send us an email, we are honored by your reaching out. 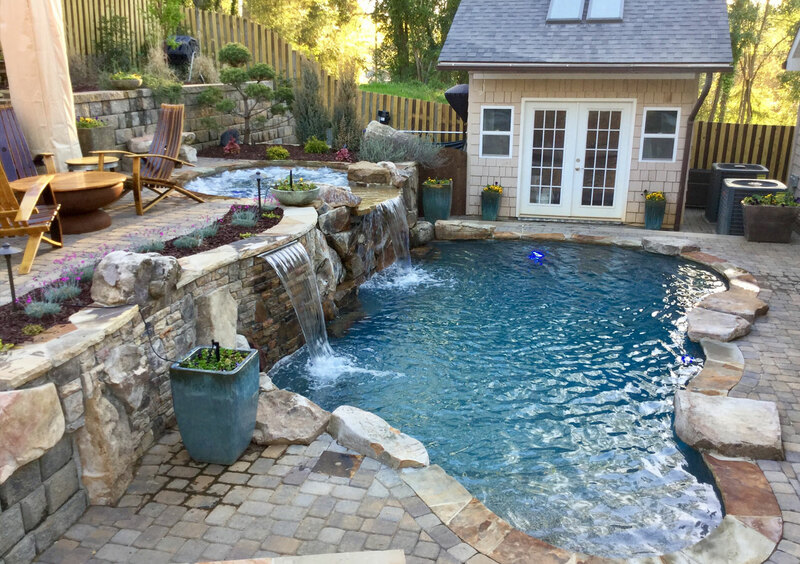 When you call, we start by getting to know your goals, vision, and budget for the outdoor project to see if we can help. Then we may schedule the site visit. One of our expert designers will discuss the ideas and options for your project. 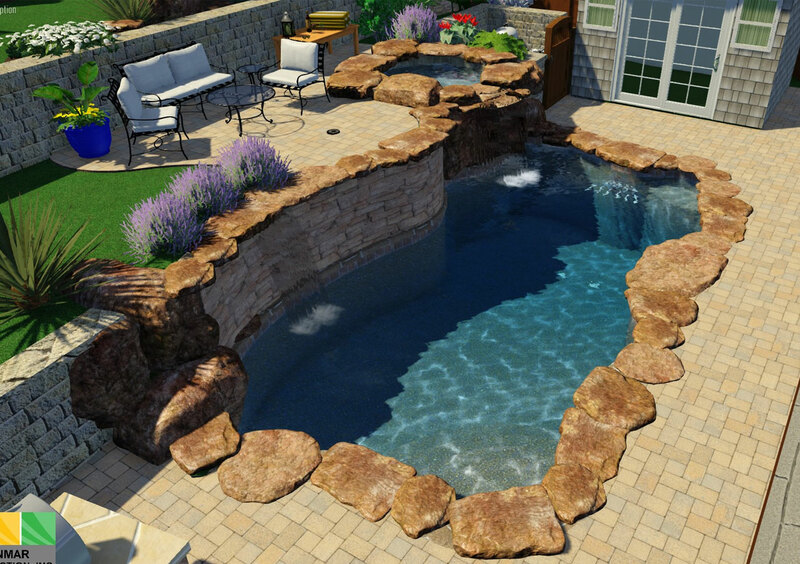 Site notes, pictures and measurements shall be obtained to create a beautiful design for your custom outdoor living space, a follow up meeting would be scheduled to present our ideas and estimate. Sunmar Construction has the talent and manpower to tackle most any project, big, huge or small. Once the new project is agreed upon, we proceed with helping you get HOA/ARC approval if need be. All permits and approval documents are obtained as your project is put in line for installation. Day 1- The owner of Sunmar Construction, project manager, and designer will meet with the homeowner to layout the project. This pre-construction meeting allows all parties to feel comfortable as we proceed. The meeting covers, the design layout, introduction to the Sunmar team, and expectations along the way. 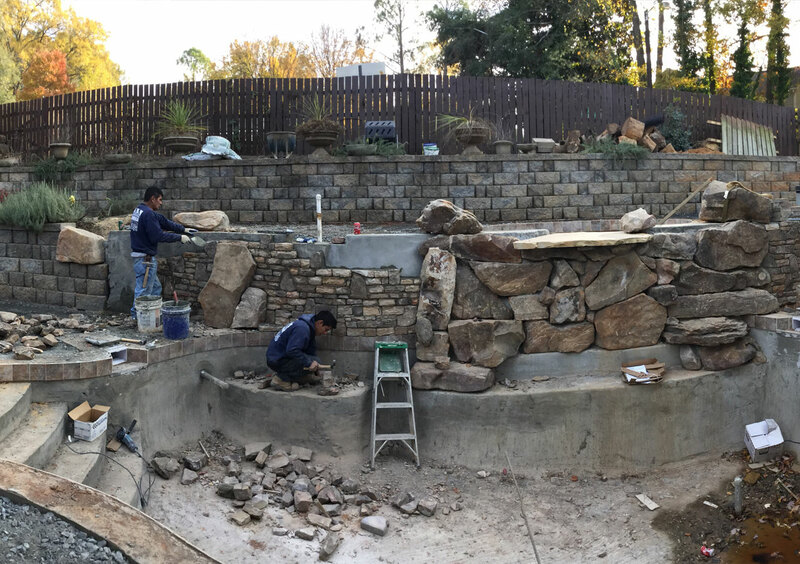 Once the work is finished, a walk through is scheduled to ensure completion and give the customer directions for proper care. At that time we are happy to answer any questions and give you instructions for over care. Our work is guaranteed, so you can be proud of the detailed workmanship and rely on the quality. We look forward to hearing from you soon!!! !